Most people don’t realize that Cacao is the purest form of chocolate that you can eat and is cleaner(less processed) than other forms of chocolate like cocoa. Cacao doesn’t have as sweet a taste as chocolate but is much healthier and is packed with nutrients making Cacao a true “superfood”. Cacao powder is a terrific ingredient for smoothies as it provides one of the highest levels of magnesium and antioxidants of any food. My favorite Cacao Smoothie recipes are below but first let me give more background on why Cacao is so amazing. Here are just a few of the highlights for Cacao. Cacao powder is a valuable source of magnesium, phosphorus, fibers, alkaloids, and polyphenols. Cacao contains a much lower concentration of caffeine than coffee. Instead, it has theobromine, a chemically similar substance. One cup (150 ml) of cacao contains 5 to 20 mg of theobromine, a similar corresponding agent to caffeine, only better. It is the most important alkaloid of cacao beans, causing physiological effects similar to caffeine, without affecting the central nervous system. It gives you the energy without taking a toll on the brain. Highest plant based Iron source and is rich in calcium. Medical researchers studied the lifestyle and nutritional habits of a Kuna group living on an island off the Caribbean coast. The study compared their health to the inland Kunas’, and produced some interesting findings. Only 10% of the islanders suffered from cancer, circulatory disease (stroke, or heart problems) or diabetes, whereas that ratio was much higher among the inland Kunas. The two groups were almost identical genetically, with only one discernible difference – their cacao consumption. It turns out that while the islanders drink about forty cups of cacao per month, the beverage is not nearly as popular among inland Kunas. All this points to cacao’s incredible impact on health. It is believed that the most advantageous medicinal properties of cacao come from its components known as flavonoids, which cacao beans are particularly rich in. Flavonoids are naturally occurring compounds that are widely found in plants. You can find flavonoids in a wide variety of different foods, including legumes, apples, grapes, cacao, and many others. What is crucial here is that they play a pivotal role in the life of living plants by repairing injuries and protecting against various pests and diseases. Over the years, scientists have found that the consumption of fruits and vegetables rich in flavonoids reduces the risk of many chronic diseases, including cancer, stroke, and coronary heart disease. The most beneficial health effect of flavonoids comes from their antioxidant properties. Antioxidants provide protection against “free radicals” found in the body. These free radicals are small molecules released through normal metabolic processes, but their excess presence can damage cells and their components, including cell DNA, our genetic material. That aspect is thought to play a key role in the aging processes and in the development of degenerative aging-related diseases. Flavonoids act as antioxidants, freeing the cells from free radicals, therefore reducing the damage they cause. The main difference between cacao vs cocoa is their pureness and active substance ratio. Cacao contains a higher concentration of the beneficial natural plant compounds. Raw cacao is less processed than chocolate and its derivatives. Whereas, normal cocoa powder is roasted and chemically processed which can destroy many of the important natural antioxidants. Also non-organic cocoa (what you typically find in supermarkets) has been treated with pesticides and chemicals for large commercial production. In addition to this, there are no added ingredients in cacao such as milk powder, soy, or sugar. Pure, organic cocoa powder with no sweeteners or additives still has beneficial properties but overall cacao has more nutrients and is less processed. Raw cacao is typically sold as a powder and works great for smoothies and in food recipes. It is also sold as cacao nibs, cacao butter, and cacao paste. There are three grand cacao varieties. Many consider the Criollo tree as the best source. It is a bit bitter but very delicious and soft. Forastero cacao is the most common, with about 85% of the total cacao production coming from these trees. The Forastero cacao offers a little less flavor. The Trinitario variety from Trinidad is the third one, and this tree is the hybrid version of the previous two. In terms of flavor and texture, it is a little closer to the Criollo than it is to the Forastero. If you buy cacao powder makes sure it is organic and 100% pure. For cacao butter, make sure it is pure and cold pressed. In the case of chocolate, choose high-cacao varieties, as they usually contain less sugar and additives, and are healthier for you. 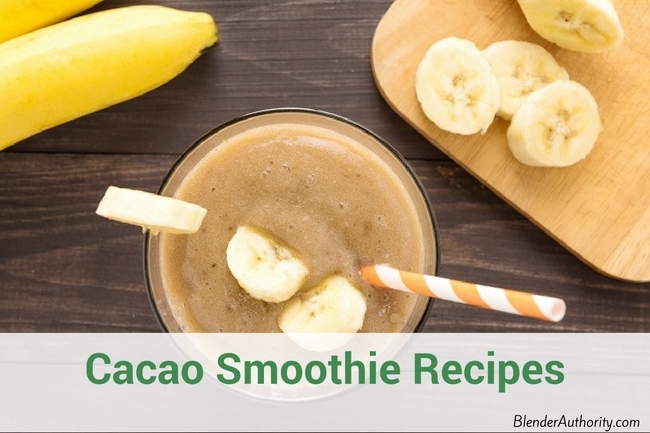 Cacao powder is good for any sweet smoothie recipes that could use a little cacao flavor. Keep in mind that raw cacao powder is not like chocolate in that it isn’t as sweet. 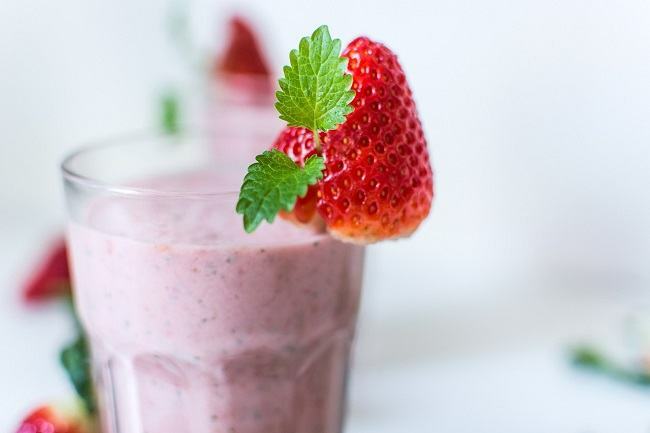 If you prefer the sweet taste in a smoothie, a natural sweetener is needed for the process. You can use natural sweeteners like honey, sweet fruit, or dried dates. Cacao also taste great in smoothies mixed with almond butter and banana. Experiment with flavors and combinations to find the right recipes. Generally you can use 1-2 tablespoons of cacao powder per smoothie. 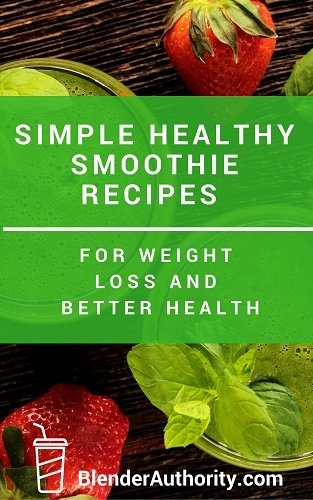 Note – The smoothie recipes below are formulated to work for any size blender. The ingredient amounts below will make 1 serving such as what you would make in a single serve blender. Just double the ingredient amounts if you want a larger serving. Delicious cacao smoothie with a nice blend of almond and subtle chocolate flavors. Add almond butter for a richer taste. 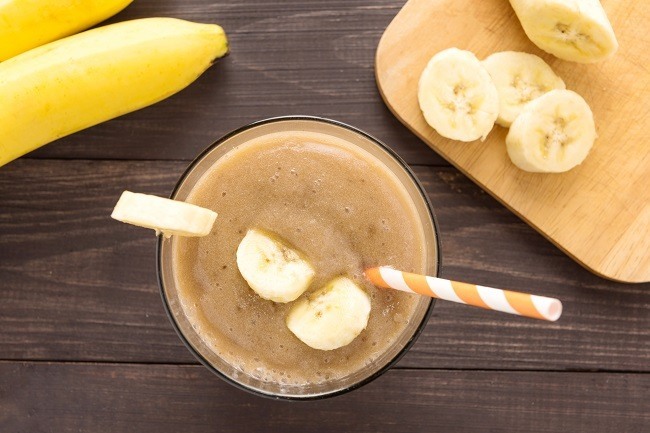 A sweet smoothie that is rich in antioxidants and kid friendly. 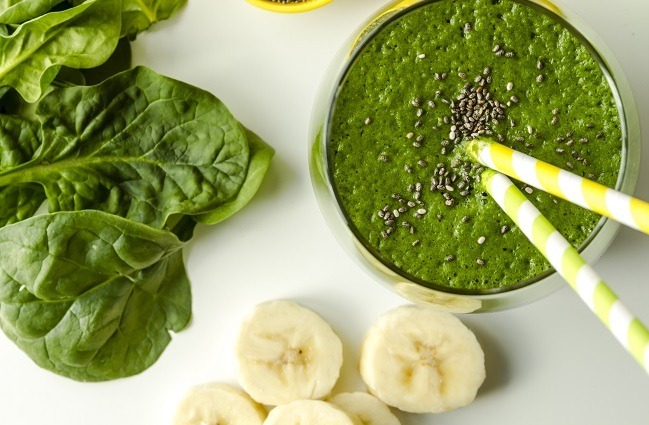 Add the optional raw oats or flaxseed (or both) to make this smoothie more filing as a meal replacement. 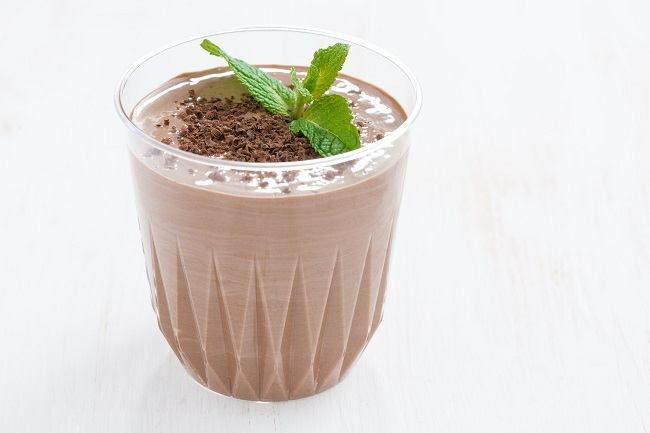 This minty sweet cacao powder smoothie is both sweet and refreshing. 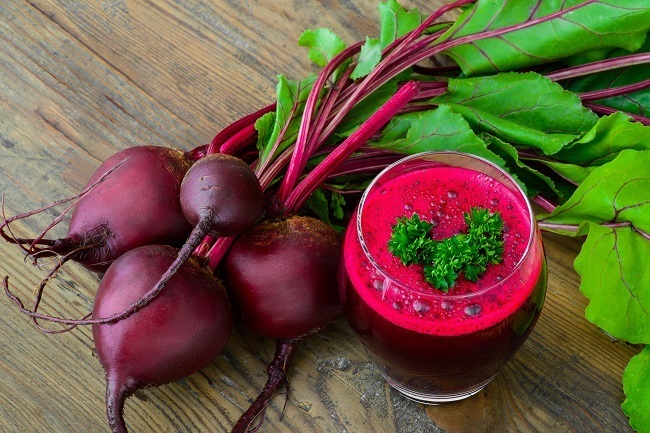 This smoothie offers a great way to add red beets into your diet and is rich in important vitamins and antioxidants. Perfect breakfast smoothie or post workout smoothie. Loaded with vitamin C, fiber, and lots of nutrients. According to German researcher Alexander von Humboldt, “nowhere else in the natural world there are so many valuable nutrients stored in such small things as cacao beans.” When combined with other healthy ingredients, raw cacao powder can make any smoothie become a “super smoothie”. Discover the amazing health benefits of cacao powder and differences of cocoa vs cacao powder. Get started with our best cacao smoothie recipes.